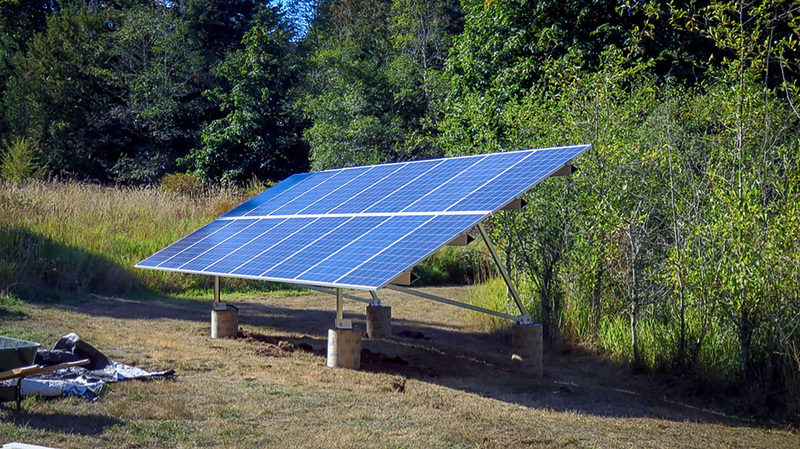 Small Planet Energy provided us with valuable information that enabled us to choose a grid tie-in system. After the equipment arrived on time Jarek and his team came on site to install and connect the solar array and inverter. We’re very pleased with the quality of work and equipment, as well as the considerable reduction of our net power usage. We were contacted by the owners because they were interested in a renewable system for their recently built home. They wanted to reduce their overall power consumption as well as address the problem of power outages in their area. Taking into account the budget as well as site solar access we recommended they install a 4kw ground mount grid-tie PV system using an SMA inverter. 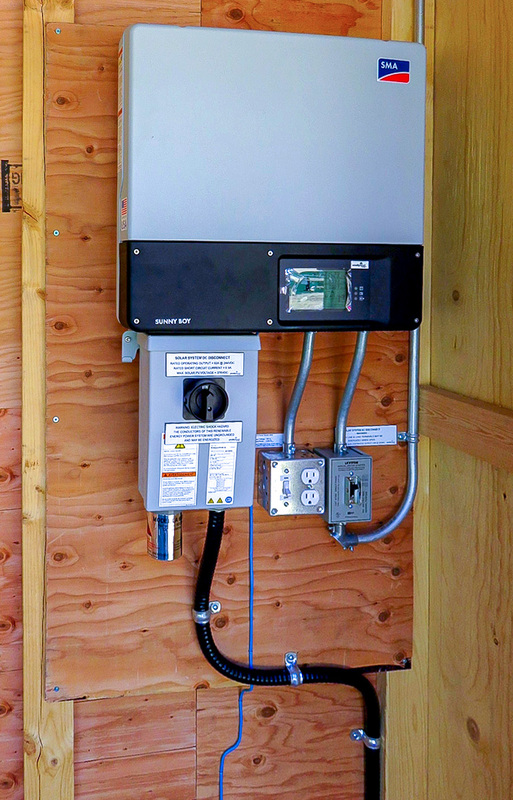 This specific inverter allows for the powering of up to a 12 amp 120v volt load directly from the sun. This addresses the power outage problems while staying on budget. Using an extension cord they can power virtually any load in their home, such as a freezer. Future plans include expanding the system to a full battery back up system.